Precipitated Silica is getting popular in products of rubber and tire manufacturing companies very fast these days. The need for Green tires which consume less energy has encouraged tire makers to use precipitated silica in their products. Also the increasing pressure on car manufacturing companies to produce cars to consume less energy and emit less CO2 gas has increased the demand for green tires rapidly in past few years. Alpine Chemie has been a top producer and supplier of precipitated silica for years. The quality of our products and its reasonable price has made us very well-known as a trustworthy and reliable company in tire and rubber industry. At alpine Chemie we produce different raw materials for tires such as Batch-off release agent. 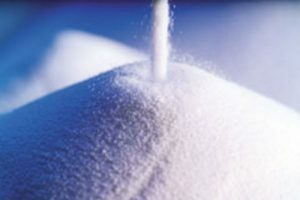 Alpine chemie will synthesize completely precipitated silica formulations that includes physical properties such as surface area, particle size and pH levels based on the demands of our customers. Precipitated silica is a form of silica (Silicon dioxide with chemical formula of SiO2) which is made by precipitation from a solution containing silicate salts. The difference between precipitated and fumed silica is the type of silica and the applications. precipitated silica is produced in precipitation process while fumed silica is produced in flames. precipitated silica is used in tire and show industries while fumed silica is mostly used in cosmetic products and toothpastes. The demand for green tires has increased the demand for precipitated silica instead of carbon black. Carbon black is produced by the incomplete combustion of heavy petroleum products in refineries. Not only this procedure is harmful to the environment by producing CO2 gas, carbon black by itself has lower efficiency in tires. Tire factories are trying to increase the ratio of silica to carbon black in their tires to increase the efficiency of tires. Rubber and tyre industries were the first industries that started to use precipitated Silica in their products. PPG is an American company which introduced precipitated Silica to tyre industry in 1930s. Later other industries such as footwear, food and painting industries started using it in their products. Since the first time PPG introduced silica to tire industry the need for green tires with higher efficiency which have less rolling resistance and higher grip increased. The use of precipitated silica to produce tyres is becoming more popular everyday because it reduces fuel consumption and its effects on environment. as green tyres (which make cars consume less fuel) are becoming more popular, the demand for precipitated silica is increasing all around the world. Alpine chemie is one of the first companies that started to produce high quality precipitated Silica and supply it to all around the world.